After setting itself up in New York, Sigma moves to the feet of the pyramids with its Cairo People Mover. 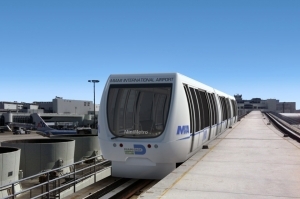 Ever proving to be a major player in the field of urban transport, Sigma has equipped Cairo International Airport with two trains. 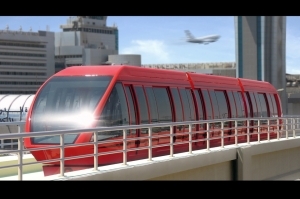 Cairo's People Mover is composed of two trains with no drivers, of a total length of 28 m. Divided into 3 wagons connected by gangway bellows, each train can transport up to 250 persons in top comfort. 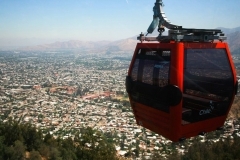 This train is powered by the rope and there is no friction of bearings thanks to the unique air cushion system in use.